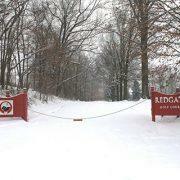 The RedGate Golf Course on Avery Road closed Dec. 31. 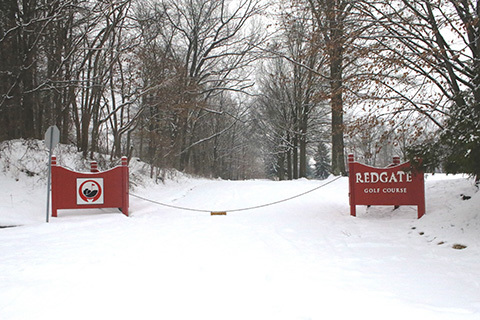 Athletic fields, an arboretum and housing are among the options expected to be considered for Rockville’s RedGate Golf Course, and the city is days away from hiring an appraiser to suggest other uses, including an outright sale to a developer. The city is also awaiting a report it commissioned from the National Golf Foundation on the viability of holding on to the public course, which has struggled financially for years and has fallen into disrepair. The course was closed by the city Dec. 31 after the company running it since 2012, Billy Casper Golf, abruptly ended its lease three years early, according to City Manager Rob DiSpirito. DiSpirito said he had hoped the golf company and the city could sit down with the new NGF report, which is due next month, and flesh out responsibilities for improving the 144-acre property, off Avery Road near Rock Creek Park. Representatives from Billy Casper Golf, a San Diego-based management company, did not respond to emails and phone messages seeking comment. After losing hundreds of thousands of dollars on the course for years, the city hired NGF in 2011 to conduct an analysis of its viability and whether it should remain under city control. The commission concluded Rockville should hire a professional golf company to take over the course. Against local opposition, and claims that some of the losses were self-inflicted due to financial mismanagement by city staff, the city leased the 18-hole course to Billy Casper Golf in 2012 for 10 years. Billy Casper requested a reprieve in its $1,000 monthly payment two years into its lease. The city agreed to release them from payments for five years, without having to pay the money back, said Rockville Recreation and Parks director Tim Chesnutt. The city also allowed the company to delay a series of payments for equipment they were contracted to purchase. City leaders have been discussing what to do with the course in recent months and they are not alone. Municipalities across the country have been wrestling for years with money-losing courses, which has intensified debate about whether they should be in the business of owning and operating courses. Some cities gauge the value of a golf course on the community service it provides to residents unable to afford private country clubs, while others see it as a financial drain. At the meeting, Pierzchala’s motion to investigate possible uses of the land passed 4-to-1, with Mayor Bridge Donnell Newton dissenting. Newton said building houses on the land should be at the will of the people and she wants to hold public meetings on any plans. If the course can’t be saved, the mayor said she envisions using it for an arboretum, walking paths and possibly an amphitheater. Pierzchala, who did not respond to requests for comment last week, said selling part or all of Red Gate would be a good way to pay for other initiatives, such as the Rockville Science Center, the King Farm Farmstead and much-needed athletic fields. Pierzchala said he would support single-family and townhouses, but not multi-family units. The city is in the process of hiring an appraisal company to look at the value of the land, including its worth for other uses, such as housing, according to DiSpirito. Newton said several problems contributed to the course’s financial woes in the last decade: The city was charging the golf course for water, when it wasn’t for a city swim center; Red Gate wasn’t receiving revenues from a Verizon cellphone tower property when it should have been; and, a surplus of funds was used to purchase outright a new water irrigation system. The 2011 NGF report also revealed that the city was paying significantly more in employee benefits and pensions for golf course staff compared to the county, which has a separate Revenue Authority that operates nine public golf courses.